An emotionally moving narrative that tells us something more about who we can be. Simply tremendous. Disney’s Wreck-It Ralph restores Disney Animation to the storytelling prowess it once enjoyed in the early 90s. At times hilarious and at others heartfelt, even daring to venture into an emotionally dark place unseen in most modern animated films, Rich Moore’s feature directorial debut both delights and entertains those who loved the arcade and those who love competent storytelling. If there is but one critique to be had (ignoring a several generations-behind lighting aesthetic) it is the film’s unfortunate by-the-book use of Blake Snyder’s Save the Cat! (“Hey sad Q-Bert, you wanna cherry? Good thing I picked these up so I could show everyone what a nice guy I am…”) Unfortunate in that many will attribute Wreck-It Ralph’s success to its dogmatic approach to STC’s meaningless fifteen “beats”, when in reality it is the film’s effectiveness at making a solid and complete argument that elevates it above the rest. Ironic really, especially when one takes into account the grand argument Wreck-It Ralph makes: It’s not the superficial surface labels that count (All is Lost moment quickly followed by the Dark Night of the Soul moment, etc. ), but rather the programming within that truly defines who and what you are. 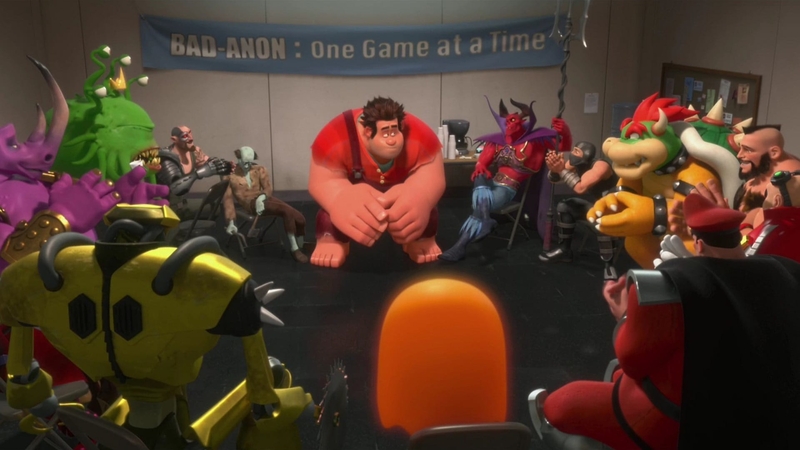 Regardless of how they got there, the filmmakers behind Wreck-It Ralph created a story and characters that will last long after the quarters have run out.